This cemetery located within the Big River Management Area is on land believed to have once been owned by Henry Matteson the immigrant or his eldest son Henry (Capt. Henry Matteson). 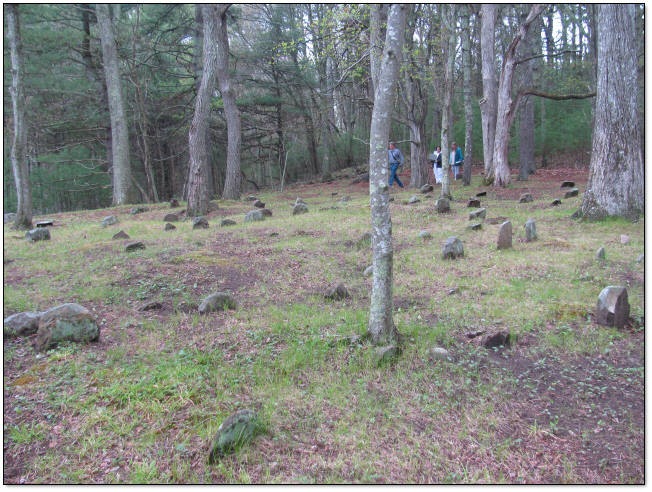 The burials span a time period of over 100 years and all use simple fieldstones placed as both headstones and footstones which accounts for the varitaion in size, shape and the type of stones used. First recorded by Blanche Albro in the 1970s and again by John Sterling in 1992. 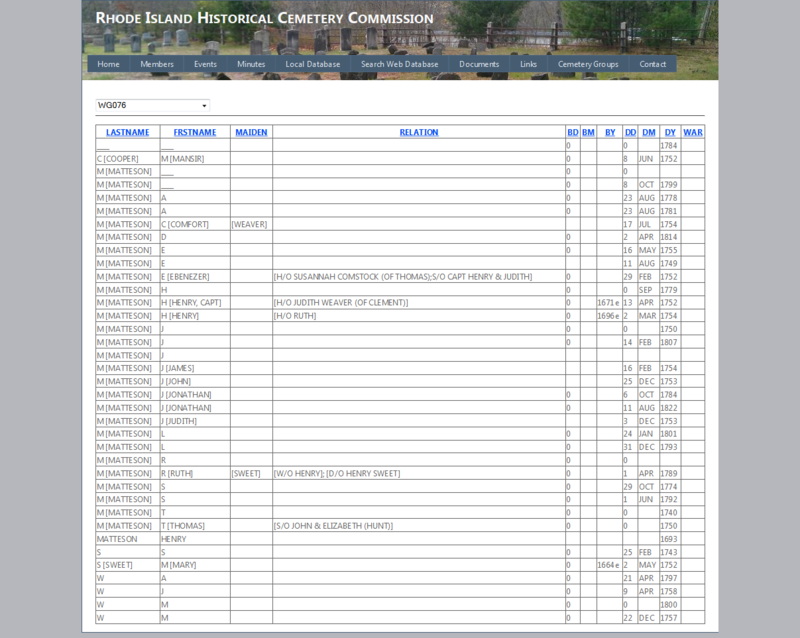 All of the burials we have identfied so far have proven to be of Matteson descendants or of their spouses and inlaws. Henry Matteson our immigrant ancestor is buried here as are his eldest sons Henry and Thomas. This can truly be called "The Matteson Family Cemetery". One of the most interesting features found on some of the earlier markers is the unusual lettering. The letters I and V can be found where one would expect to find a J or a U, while later burials are found to have used the alphabet that we still use today. The letters J, U, and W of the modern alphabet were not fully adopted until mid-18th century. In their place the letter I was used for J, V for U, and double interlocking Vs were used as a W. The letter I with a bar through it used in place of the letter J and the letter V used instead of a U can be found throughout the cemetery. Double interlocking Vs can also be found in place of the modern W. Below are some examples of these early stones.